Unless you’re winning big at the casinos, or betting big and getting complimentary swag, Las Vegas can be an expensive city to visit. Restaurants, shows, nightclubs, gaming, and attractions can add-up quickly and drain your savings account quicker than you can say “Black Jack”. But, you don’t have to max out your credit cards to have fun in Sin City. Here are some of the best things to do in Las Vegas that are completely free. This might be one of the best shows in Las Vegas, period. Think a water fountain is less than exciting? Think again. This is no ordinary fountain. This man made lake stretches 1,100 feet wide and has 1,214 devices that shoot more than 17,000 gallons of water 460 feet into the air. 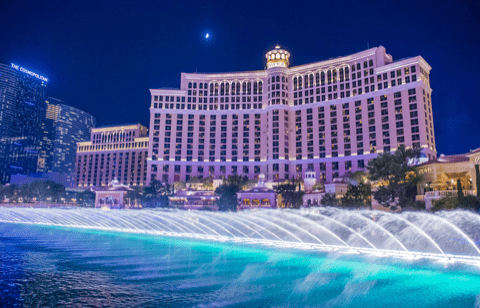 The fountains are choreographed to 30 different songs, including Frank Sinatra’s “Fly Me to the Moon”, Andrea Bocelli’s “Time to Say Goodbye”, and Michael Jackson’s “Billie Jean”. The show is surprisingly moving and romantic. Fountain shows run every 15 to 30 minutes in front of the Bellagio Resort. If you’re hungry, enjoy the fountain show from the Sugar Factory Restaurant patio across the street (outside Paris Las Vegas Resort). True to its name, Circus Circus Resort features acrobats flying through the air with the greatest of ease. 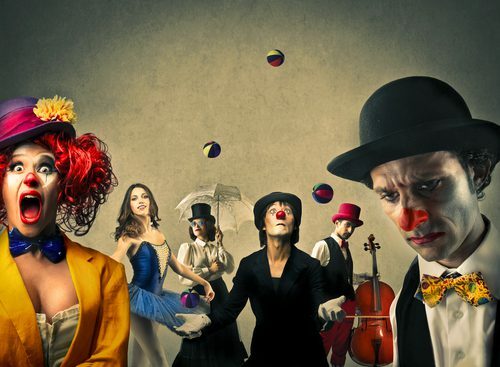 Every 30 minutes between 11 a.m. and midnight, circus performers entertain gamblers high above the casino floor. But, you don’t have to be sitting at a slot machine to watch the 10-minute juggling, unicyclist, and trapeze performances. Guest seating is available for these shows, but, the small 60-seat grand stand fill-up quickly. While at Circus Circus, follow signs to the Midway if you’d like to try some more traditional games of chance or visit the revolving “Horse-A-Round” bar (as seen in “Fear and Loathing in Las Vegas”). The Mirage gave birth to spectacular entertainment on the strip. In 1989, the Mirage unveiled their erupting volcano and it continues to draw more tourists than any other free attraction on the strip. Fire, water, lighting, sound effects, and music all combine into one deafening and heart-pounding display. 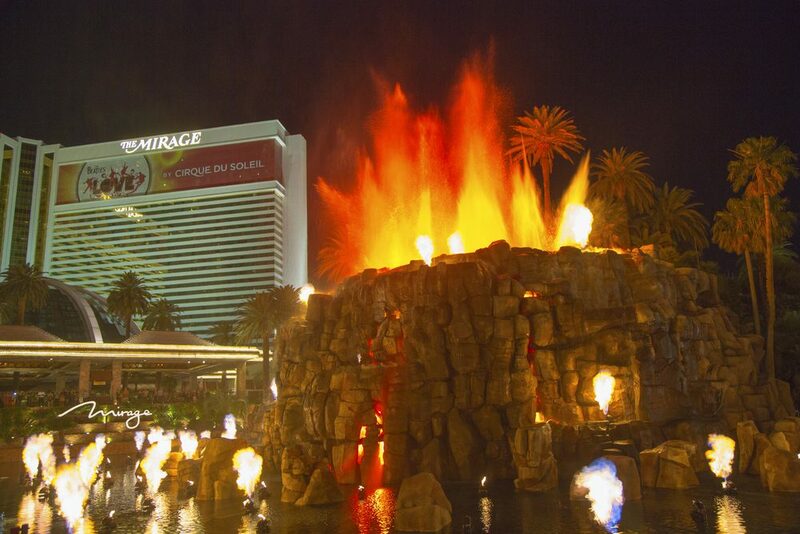 Thanks to a $25 million overhaul in 2008, the Mirage volcano systems rumble and shoot fire more than 12 feet into the air, all to a custom soundtrack composed by Grateful Dead drummer, Mickey Hart. Find a spot right in front of the hotel for this evening show and get ready to feel the heat. Staying at the Mirage? Request a room higher than the 13th floor for a birds-eye view of the explosions. Shows happen every 30 minutes from 6 p.m. to 11 p.m. While calm and uncharacteristically quiet for Vegas, the Bellagio Conservatory is overwhelmingly beautiful. Offering five horticultural shows per year, the Conservatory gardeners create stunning displays with thousands of flowers, trees, and plants. The conservatory is open 24 hours a day and is always fresh – more than 10,000 potted flowers are changed every two weeks. For a different point of view, tour the tunnels that run under the Conservatory’s floor. At CBS Television City the power of influencing TV is in your hands (and you don’t have to become a TV executive to do it!) You’ll find the TV Research Center inside the MGM Grand and free tickets are available at the registration desk. Researchers will lead you into a screening room where you watch pilots for new shows or current programs on CBS, MTV, and Nickelodeon. After the show, you’re asked to input your thoughts on a touchscreen terminal. Want to offer up even more advice? You can volunteer to test commercials, websites, and technology products. When you make your inevitable trek along the Vegas Strip, giant cocktail in hand, be sure to turn into M&M World. This bright, colorful, and inviting four-story palace of chocolate, is chock full of memorabilia, t-shirts, entertainment, and candy. Want the best souvenir on the strip? Head to the third floor and personalize M&Ms with your own custom message. The process only takes a couple of minutes. Maybe you should consider some “Thank You” message M&Ms for that special someone back at home who was left watching your dog or watering your plants. If you don’t already feel like a free-wheeling kid in Las Vegas, M&M World will get you in the mood in a hurry. 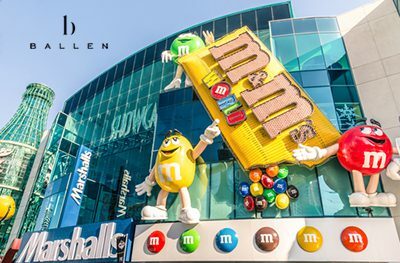 If you didn’t get your fill of chocolate at M&M world, take a quick trip away from the strip to Ethel M Chocolates Factory. On a self-guided tour, you’re privy to every step of the candy making process. Once you’ve seen the chocolatiers at work, sample their goods for free. Ethel’s also boasts Nevada’s largest Botanical Cactus Garden. Just outside the factory, spend some time wandering around more than 300 species of plants and cacti, spread across four acres of desert. Welcome to downtown Las Vegas, the place where it all began. History buffs will love the historic casino names that harken back to the days of the mob, thrifty tourists will love the cheap table games, and everyone is bound to get an eyeful from the best people watching in the city. 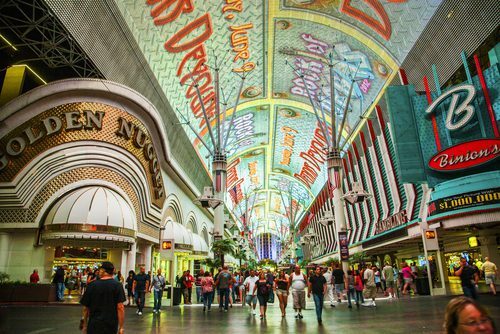 What Fremont Street has to offer is well worth the trip from your modern “on the strip” hotel. This bastion of vintage Vegas is a non-stop party in the street under a continual light show. The Viva Vision projection screen, 90 feet above ground and five football fields long, is the largest screen in the world. The screen is packed with 12.5 million LED lamps and each light show is about six minutes long. Live tribute bands offer free concerts nightly on Fremont Street, while downtown Las Vegas hosts a variety of street festivals throughout the year. Time your trip right to attend the Vegas StrEATS Festival. This food festival happens every second Saturday and features food trucks, beer stands, and a live DJ. You’ll find the action near El Cortez, just follow your nose. Champion eaters will be happy to find the infamous Heart Attack Grill on Fremont Street. Need more convincing to head off the strip? The Golden Nugget is home to a 20,000 shark tank, several casinos offer free slot pulls, the men’s restroom at Main Street Station features a huge chunk of the Berlin Wall (no one quite knows why), and, for incredibly daring drinkers, Nacho Daddy restaurant will add a live scorpion to a liquor shot of your choice. Whether you live in Las Vegas or just visiting on vacation, there’s plenty to do on a budget. Don’t settle for just earning free drinks while you gamble the night away at a slot machine or roulette table. Get out and explore the town, there’s plenty of free sights just waiting for you. 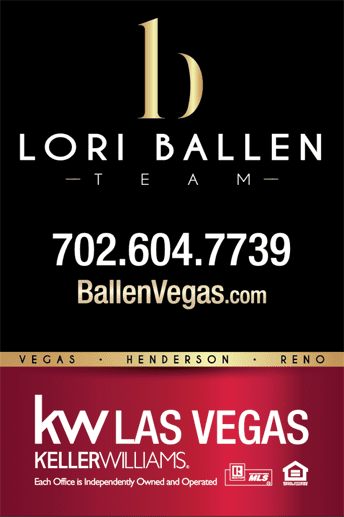 Thinking of Moving or Buying a House in Las Vegas?